"EMMA" TWIN AFT CABIN, AFT COCKPIT, CRUISER-RACING SLOOP. 2005 ?Distinction? model. The First 40.7 is a competitive boat under both IRC and IRM. ?Emma? 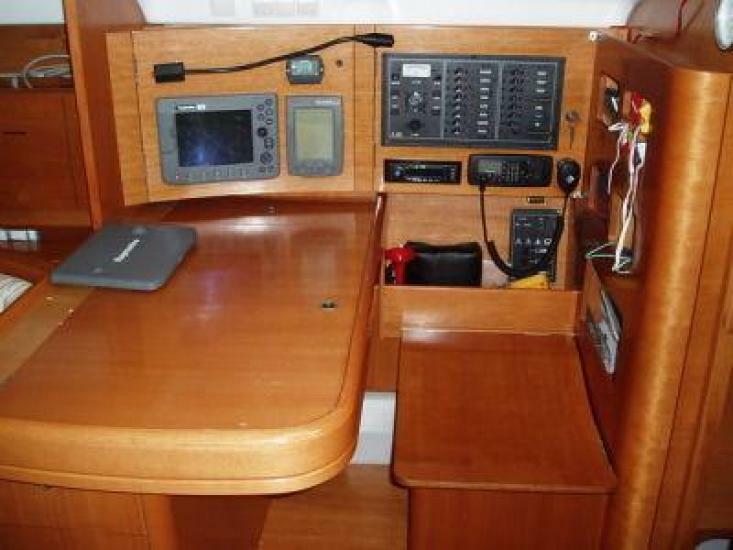 has been nicely set up for racing or cruising with a good sail inventory. She has been lightly used and is well worth viewing. 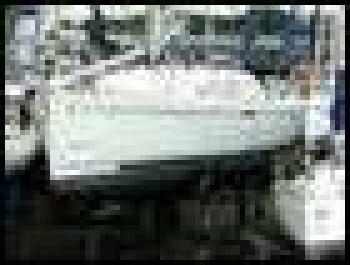 Navigation Equipment : ON MAST - Raymarine ST60 multi x 2 and ST60 depth. IN COCKPIT - Raymarine ST60 multi. AT CHART TABLE - McMurdo ICS Nav 6 navtex. Vion chrome clock, barometer and thermometer. Binoculars. Torch. 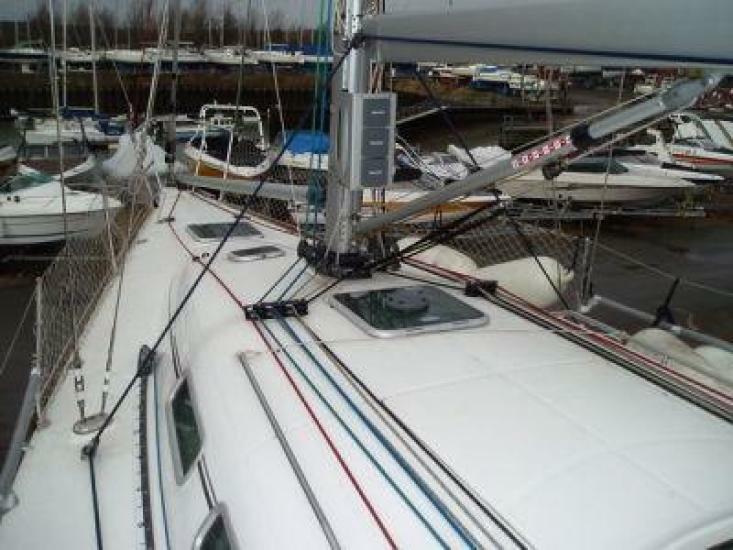 Spars & Rigging : Navtec hydraulic backstay. Rod kicker with cascade control. Facnor twin groove, removable drum furling system. Lewmar racing adjustable genoa tracks. Dyneema halyards. Harken winches ? 2 x 48ST primaries, 2 x 44ST secondaries and 2 x 44ST halyard / control. Alloy headsail sheet tracks with adjustable roller cars. Cockpit mounted mainsheet track with adjustable traveller. A well presented example of this 42 cc cruiser. Well specified and maintained with engine serviced annually. 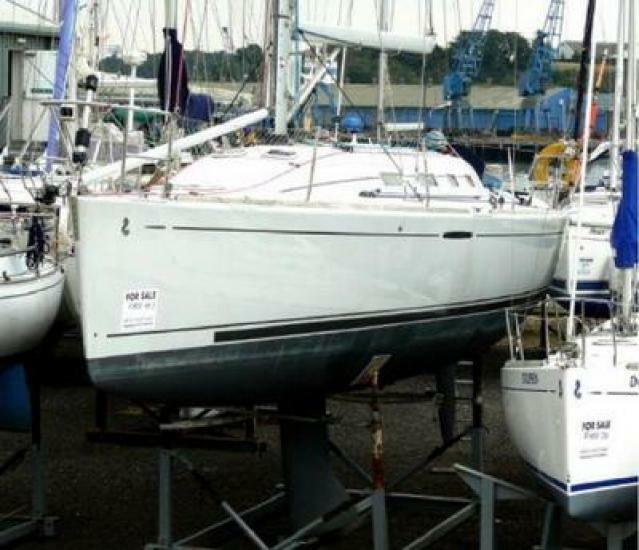 The Beneteau First 40.7 is a modern classic - completely at home inshore, offshore and ocean racing as well as taking the family cruising. This is a tidy early example which is still competative. Lots of recent race sails as well as charter/training race sails and dacrons for deliveries and cruising. Available to view seven days a week outside our Port Hamble office. Please contact us for more details and photos. Please note that the euro price shown for this database may be misleading due to changes in the exchange rate. Kady was bought in Spring 2007 for Cruising on the West Coast of Scotland, she had been previously used by a couple to cruise in the Med. Kady has been equipped to a high standard and has been lightly used. The Sanders working headsail is perfect for cruising and the extra large sprayhood and bimini work perfectly come rain or shine. She is for sale due to family commitments and is perfect for a couple or family cruising. Sloop rig. Slab reefing. Spinnaker pole and track on mast. 2 x Lewmar 2 speed ST Genoa winches. 2 x Lewmar 2 speed ST Halyard winches, one electric.